What Should Every PC User Know? Send Us Your Tips! Are you a tips maven? Do friends and family go to you for the latest PC tips, tricks, and trivia bits? If so, we want to hear from you! Tell us: What are the tips, tricks, killer apps, and obscure facts that you think every PC owner should know? Your suggestions could be featured in an upcoming PCWorld story. 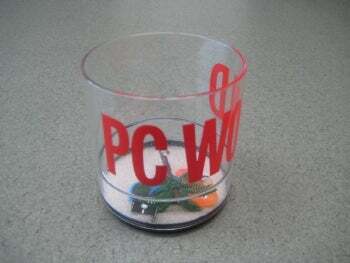 Send a list of your top 10 along to patrick_miller@pcworld.com, and if we use one of yours, we'll send you a limited-edition PC World Beach Cup! Please submit your tips to us by Friday, May 28, 2010 for inclusion in the story. Thanks in advance!